Pouch pattern Wolf murielm, craft, made hand, Provence, suede, silver, made in France, Provence shop fabrics murielm, leather. 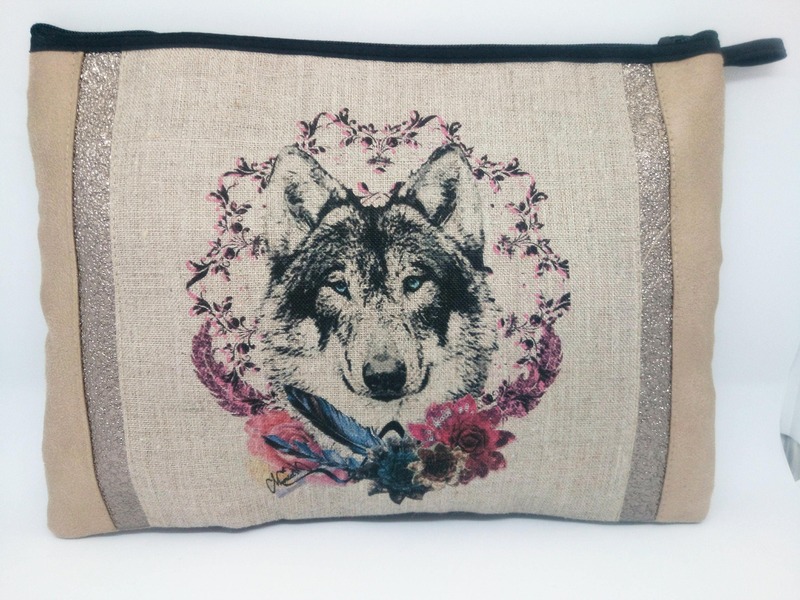 Pouch printed with a Wolf head pattern, with flowers and feathers. Center surrounded by faux leather and suede stripe linen fabric. Beige suede lining. Closed by zipper.